Submitting your sitemap to Search engine is must for website owners and make sure that your blog content gets picked by every search engine. So, also submit sitemap to Yahoo engine. We have already written tutorials on How to submit your sitemap to Bing. This is the one search engine which I have missed. Yahoo search-engine is one of the popular search-engines after Google and Bing. 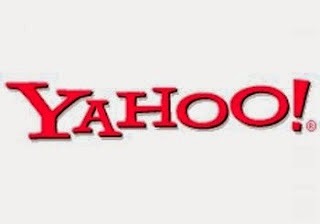 By submitting your sitemap to yahoo, you will make sure to get visitors from Yahoo Search engine. Like Google has its Google webmaster tool and Bing has Bing Webmaster tool. But to submit sitemap to Yahoo, we have Yahoo explorer. You can also use your existing Yahoo ID to login to ‘Yahoo Explorer’. Under ‘My Sites’ section, add your site URL and click on Add sites. Like in other Webmasters tool, you can verify your site by Meta tag or by uploading a file to it. I prefer uploading File option so that if I have changed anything in my blog, my site is still verified with these search engines webmaster tools. Simply download the file by clicking on it and simply upload it on the root of your site directory using any Free FTP client. Once you have uploaded the file, click on ‘Ready to Authenticate’ and on the next screen, you will see confirmation message. You can also add sitemap.xml to add it to your site. Submit sitemap to Yahoo search engine is really important and by doing this, you ensuring the maximum visibility of your website in search engines. NOTE: You don’t have to submit sitemap to yahoo again, if you have already submitted it to Bing.